January is both the beginning of the year, and my birthday month—and I usually do a pretty good job of staying on track with my health and fitness goals. This year is no exception. If you read this column regularly you’ll know that I’m all about baby steps in making progress, but building momentum is important, too. I have this weird thing I do where the activities I love the most are the ones I tend to shy away from. Last year I set the same goal I’m setting this year, only this year I’m training more seriously toward that goal. After all this time working out, I still can’t run a mile. I still can’t run one lap around the track, in fact. But I’m working on it. I’ve got a great book my brother (a serious athlete who thinks marathons are fun) gave me on running for beginners. The basic gist of the book is to walk, introducing running in bursts. I decided I would devote one day a week to running training, and Friday I did my first one. I don’t think I can now adequately describe the feelings of euphoria and accomplishment I felt after an hour on the treadmill, in which I ran as much as I could, and walked the rest. I used my fitness tracker to monitor my heart rate. When it got up into the 150-160 zone, I walked until it went back down to about 110. Then I ran until it spiked again. I went through this sequence over and over for an hour. Frequently during my work day I jump on the treadmill in my office for 5 or 10 minutes at a time, which for whatever reason seems to take a long time. That hour went by so quickly! That was probably the biggest surprise of that workout. I continue to be surprised that I would even think a running workout could be fun. 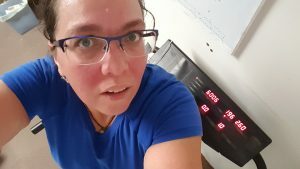 Watching my feet pound on the treadmill gave me a feeling that is hard to describe, but let me take a stab at it: A recognition of the strength and grace of my body. An awareness that I can do things I once was convinced I couldn’t do. Body-level knowledge that exercise feels good, that moving feels good—that running feels good. Excitement and joy that I have been able to discover these things. I felt incredible and that feeling lingered for days. Bonus: My daughter and I continue with our weekly steps challenge (spoiler alert—she won again) and that also motivates me to both hit the treadmill during the day and to run. At about 2.5 miles in that hour, I went more steps during that single workout than I would average in a day without exercise. Also this week I incorporated a new routine into my day. Since the beginning of the year I’ve been diligent about starting the morning with half an hour of dancing. I signed up for Beachbody on Demand—which gives me access to streaming videos for a large library of workouts with several trainers. I’ve now done three of those workouts, each different, and each one a good, hard workout. Now, there are tons of good videos on the internet that don’t cost any money to view. I signed up for this one because I’m so inspired by an Edgewood trainer, Andrea Amestoy, and wanted to join her team. Plus I figure that if I shell out some money, I’ll feel more motivated to tune in. This week I also bought myself a birthday present: heavier weights. Part of that morning routine is spending a few minutes each morning to think about my day, plan ahead, do housework, and generally spend a bit of time taking care of myself. All in all, I’ve built quite a wave of momentum so far this year. As I turn 51 this week, I can say I feel young, I feel healthy, and I feel motivated to keep on getting exercise. 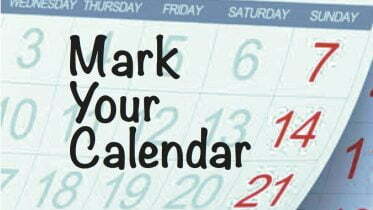 Where do your health and fitness goals stand as the first month of the new year wanes? 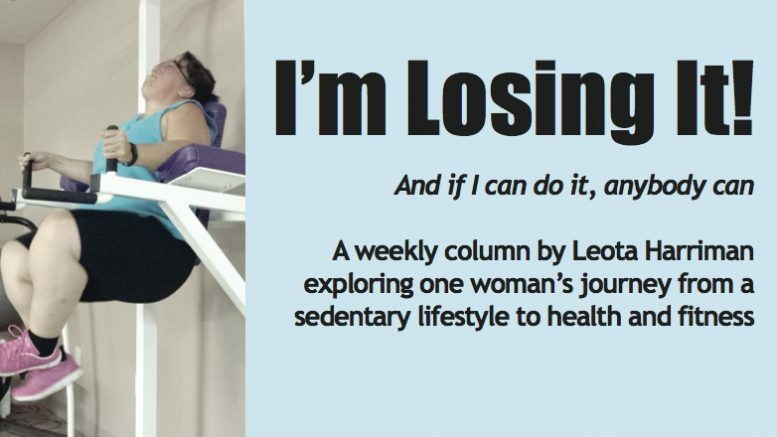 You can reach me at leota@lobo.net or 505-286-1212, or by joining the conversation in my Facebook group, “I’m Losing It!” I look forward to hearing from you.